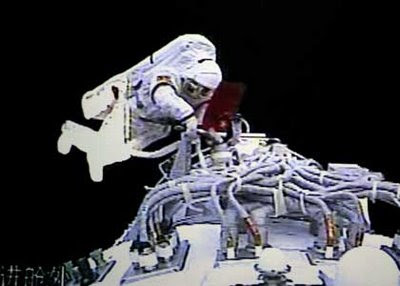 A video grab taken at the Beijing Space Command and Control Center shows Zhai Zhigang outside the orbit module of the Shenzhou-7 spacecraft during his spacewalk. Zhai became the first Chinese man to walk in space on Saturday (September 27, 2008 ) , clambering out of the space craft ( for 13 minutes ) in a technological feat that Beijing wants the world to marvel about. 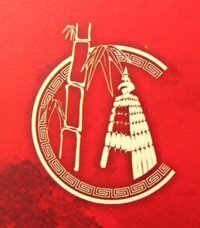 Congratulations to China for doing what Russia and the USA did 43 years ago.